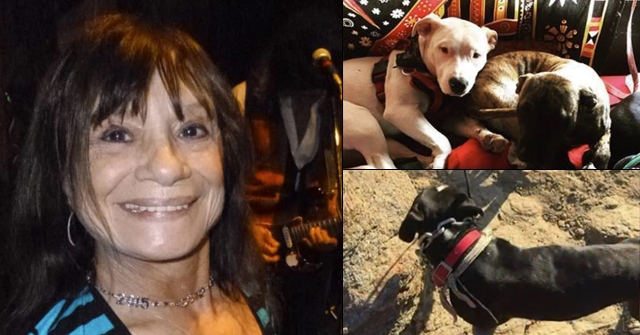 Cherokee, GA - It was recently reported that Carolyn Reidenbach was found guilty after her two loose pit bulls savagely attacked and killed two family pets. We point this article out for two reasons. First, we don't run across pit bull attacks on pets that end in a guilty verdict too often. In many instances, charges are never brought at all. Second, we've never seen the verbiage "exploded ribs" before. It's precisely the type of injury pit bulls can inflict on a dog. "Carolyn Reidenbach was cited in December by the Cherokee County Marshal's Office Animal Control Division. 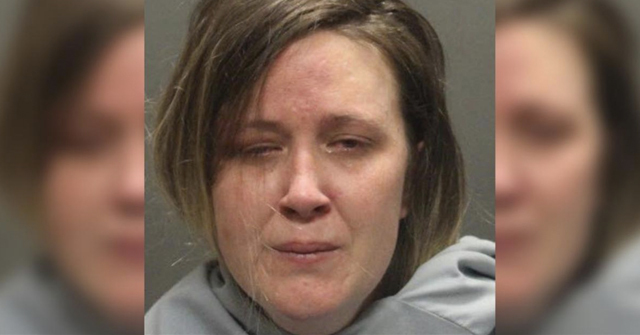 She was charged with two counts of animal attack on a human, two counts of animal attack on animals and two counts of unrestrained animals. Ms. Reidenbach was found guilty on Tuesday in Cherokee County Magistrate Court, fined $1,220 and ordered to pay $5,567 in restitution. Donna Goodall of Macedonia and her children were walking their two dogs on Water Tank Road on the Friday afternoon after Christmas when they were attacked by two loose pit bulls. The pit bulls caused serious puncture wounds to Mrs. Goodall's hands, who also hurt her back as she fought the dogs off. Her children ran from the scene and were uninjured. The family's two dogs, who were on leashes, were seriously injured. Marlin, an 11-year-old Jack Russell, suffered exploded ribs, a punctured lung and tissue damage. After extensive surgery, he died from his wounds. Marlin had worked as a dog model for Petsafe and appears in their product guides and promotional materials. Bella, a 9-month-old, newly field trial-trained yellow Labrador, suffered a shattered back leg and lacerations. The responding animal control officer said Ms. Reidenbach "showed no remorse." Witnesses said, after the attack, Ms. Reidenbach brought her dogs inside and offered no assistance to Mrs. Goodall, her children, their dogs or neighbors who ran out to aid them." I think this pit bull owner’s mentality is typical of most owners of pits. “It’s not their fault, I raised them right, it’s the victim’s fault”, caused this woman to walk back into her house with her dogs and leave the chaos outside. This “attitude” is being cast everywhere, save the pits. What does it take? One chimp attack makes international news while many children die from these dogs, dogs that are brought into homes all over the country. What are we thinking here? As the owner of a dog that suffered a shattered back leg, I know this dog may have to suffer with it for the rest of her life. Hopefully at only 9 months old, she will heal properly and completely. Otherwise, complications and arthitis can lead to expensive medications and treatments to manage the pain and partial loss of mobility of the leg. Looks like all that training may go to waste. Although none of that will be compensated for. This is where there is division in the AKC. So the dogs owned and sold by AKC breeders (“their own,” because AKC breeders don’t care at all about non-AKC breeds and mixed breed dogs) ARE GETTING RIPPED UP AND DECIMATED BY PIT BULLS. 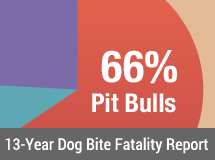 Surely there must be some AKC breeders, selfish as they are, that are concerned that “their breed” is getting attacked by pit bulls, and that pit bull regulations would greatly reduce these attacks. However, AKC breeders are so extremist, so easily led by the fanatics who oppose anything and everything, that I don’t think they will do anything about it. And AKC breeder dogs will continue to get chewed to bits by pit bulls. The three registries also expect different behavior in the ring. The AKC disqualifies any dog that shows aggression in the ring. The UKC recognizes that these dogs tend to be dog aggressive, but judges will often disqualify a dog that growls or lunges at another dog int he ring. In the ADBA show ring, dog aggression is not a reason to disqualify a dog. In fact, dog-aggressive dogs tend to do well in the ADBA. Not even the AKC, an organization that zealously combats breed-specific legislation, is immune from breed discrimination. 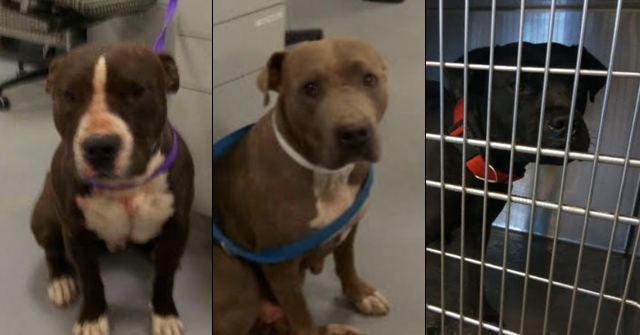 While handling her female Amstaff in a multi-breed class, a woman in southern California was dismayed to find the judge inspecting every other dog except hers. In fact, the judge seemed downright afraid to approach the lone Pit Bull in the ring. Some AKC Amstaff enthusiasts also grumble about possible breed discrimination in the order of breed classes, since Amstaffs are almost always shown very early in the day. This practice has caused some Amstaff owners to speculate that the AKC wants the Pit Bulls off the show grounds early to avoid scaring members of the public and other handlers who are not afraid of the breed. This is why I don't go out without a knife anymore. Pit creeps don't care about their victims but they might think twice about controlling their damn dogs once it has both eyes stabbed out.